Pfride pharmaceuticals' daring duo – Mom & Dad – get pregnant. Often considered one of Yeeeowwalczyk's best short films, it follows Mom & Dad on their miraculous journey – through the aid of medication. This was Yeeeowwalczyk Financially Feasible Animated Pictures’ first full-length animated feature film. The film tells of the exciting misadventures of Corchem Man and his sidekick Dr. Molecular as they discover the “Solution Solution” and clean up Corchem City. The film was such a success it played unrelentingly at the Butane Theater for two and a half years. 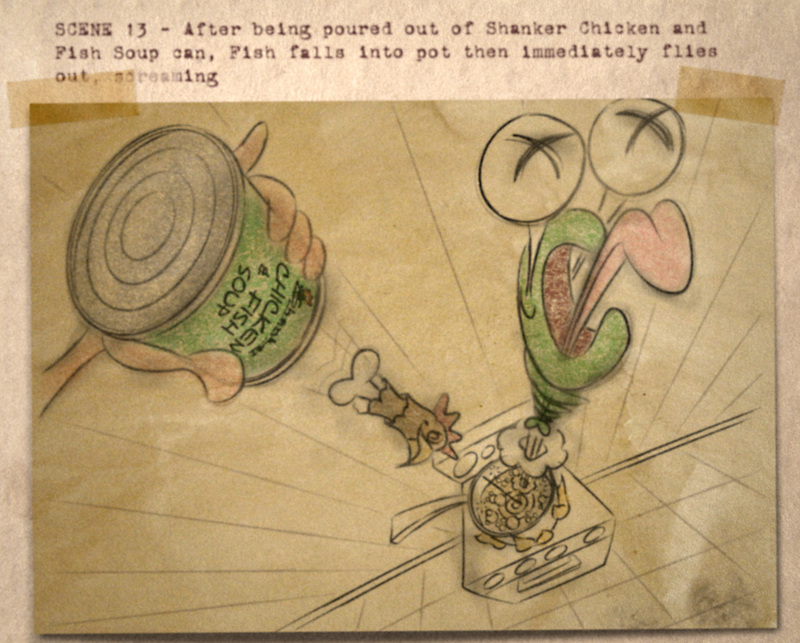 This storyboard sketch is from the second to last episode of The Magical Merchant Machine Sponsored by Forceps Toys entitled Let’s Warm Up Some Soup. The episode was co-sponsored by Shanker Processed Foods and spotlighted their new line of extra high sodium soups. The Red Brick Bunch ran from 1956 until 1962. Shown here is the Red Brick Bunch singing their closing theme song "Bye-Bye, Buy". 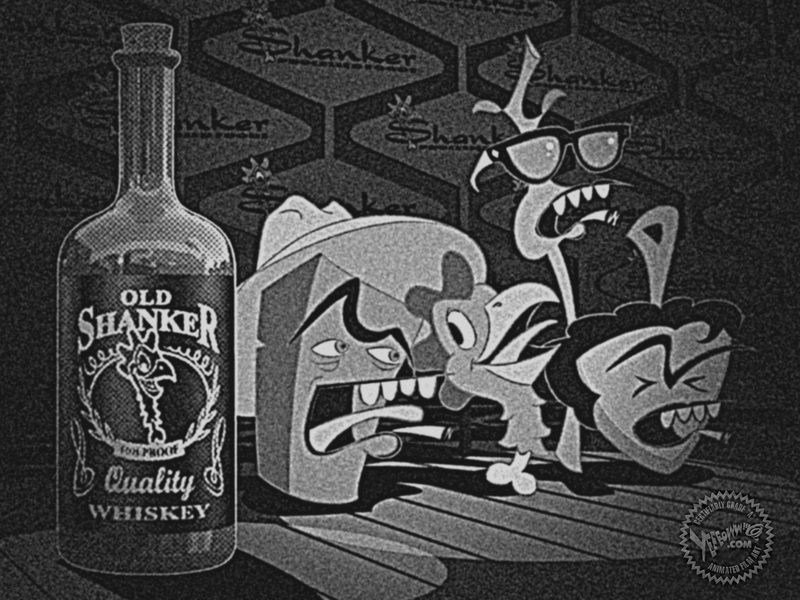 Shanker was promoting their premium quality whiskey that week, accounting for the Shanker Processed Chicken singing with The Bunch. Sponsored by Glandul•Aire, Bathroom Door to the Future is Yeeeowwalczyk Financially Feasible Animated Pictures’ second full-length animated feature film. 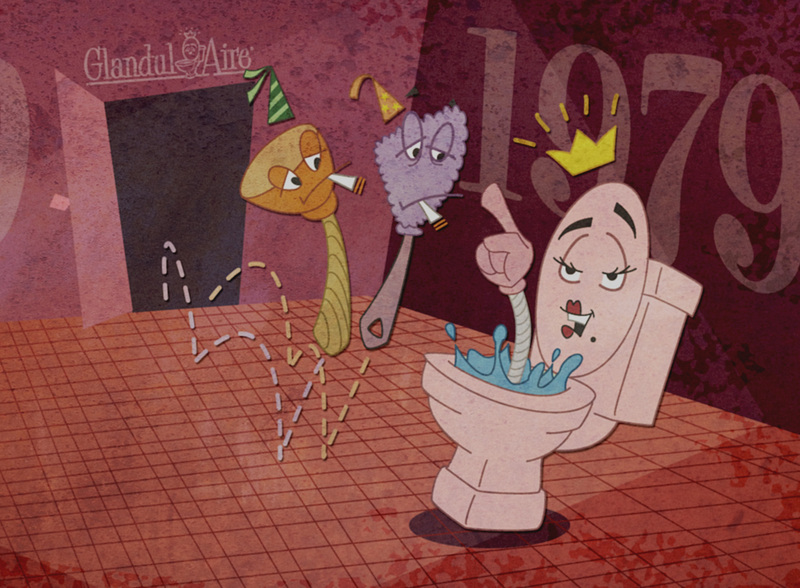 In the film Queen Glandul•Aire and her pals Plunge and Scrub travel to the distant future to discover what the Glandul•Aire bathroom of the future will be like. In the Spring of 1952, Crocker Yeeeowwalczyk stumbled on the idea that ultimately defined Yeeeoww: the Feature-Length Animated Promotional Film. 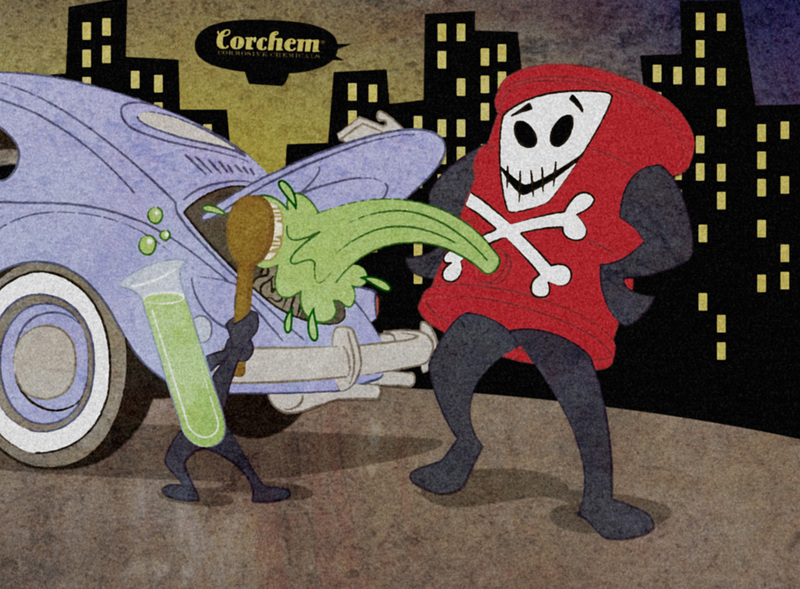 In March of 1955, Yeeeowwalczyk Financially Feasible Animated Pictures released Using Corrosive Chemicals in a Modern Age featuring the popular Corchem Man. The film was a critical and financial success for Yeeeowwalczyk as well as for Corchem Chemical. In 1955, Crocker floated the idea of a futuristic bathroom to Glandul•Aire CEO Tuck Tatum who was immediately interested. Bathroom Door to the Future featuring Queen Glandul•Aire opened to accolades in 1959. 1956 saw Yeeeowwalczyk move into the new medium of television by producing the highly acclaimed television series The Red Brick Bunch sponsored by Forceps Toys. A year later, Yeeeowwalczyk Financially Feasible Animated Pictures Presents the Magical Merchant Machine Sponsored by Glandul•Aire was put into production. 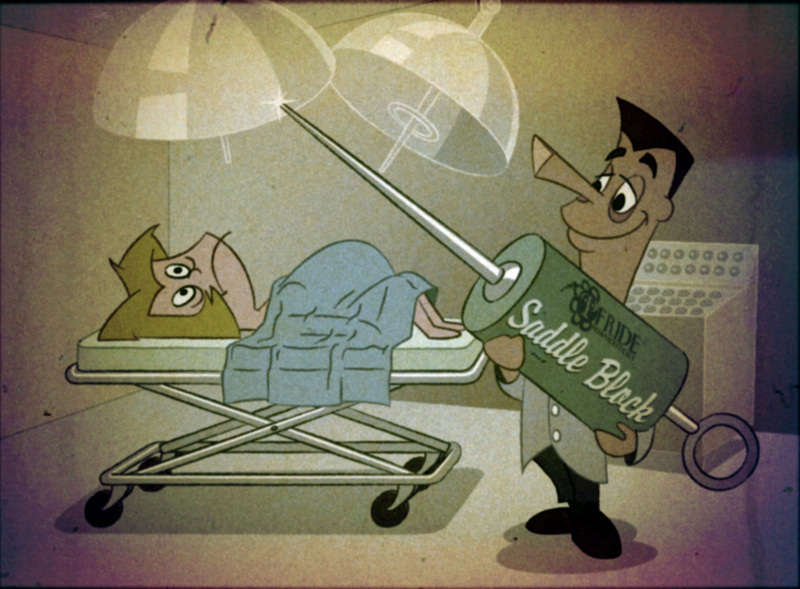 Yeeeowwalczyk's first feature-length animated film (Corrosive Chemicals in a Modern Age) and pre-production for it's first TV Show (The Red Brick Bunch) were in full swing during the Fall of 1954. 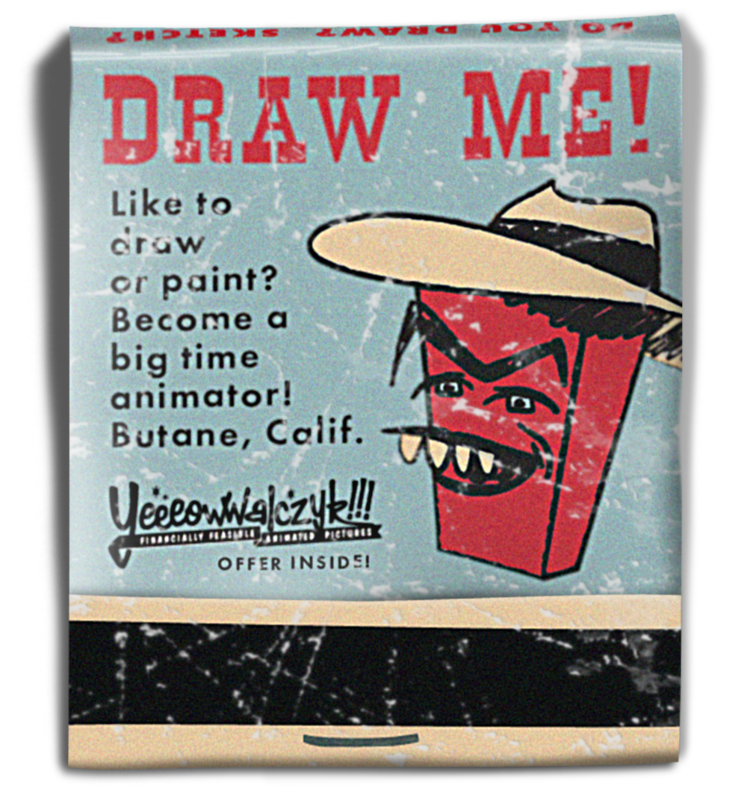 An animator recruitment program began in earnest throughout California during this time. The Red Brick Bunch Sponsored by Glandul•Aire premiered in the Fall of 1956 and was an immediate hit. 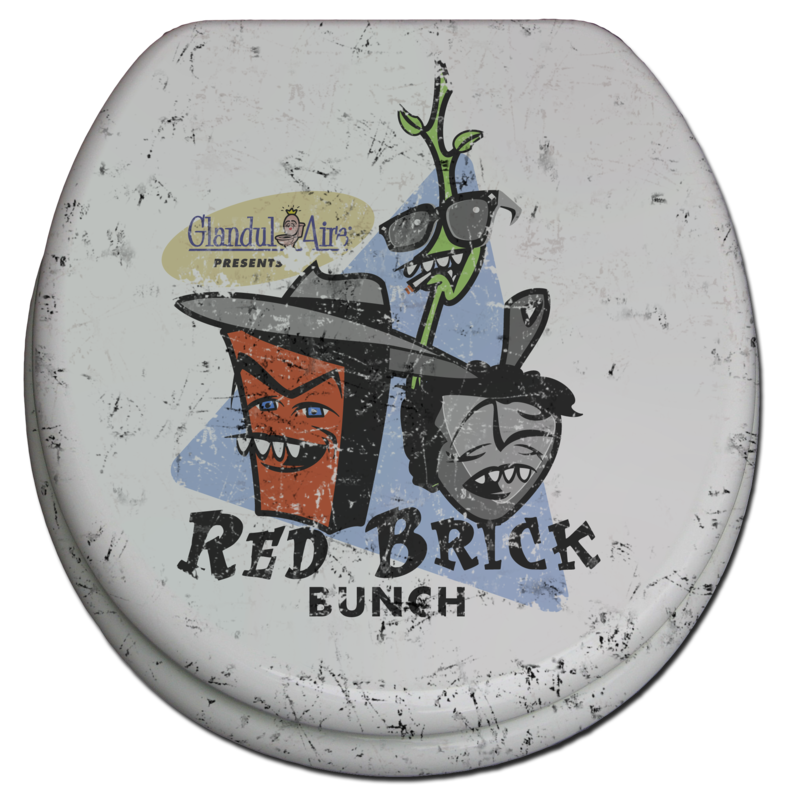 Glandul•Aire created a full line of promotional items which included this Red Brick Bunch toilet seat - which is now a collectors item. 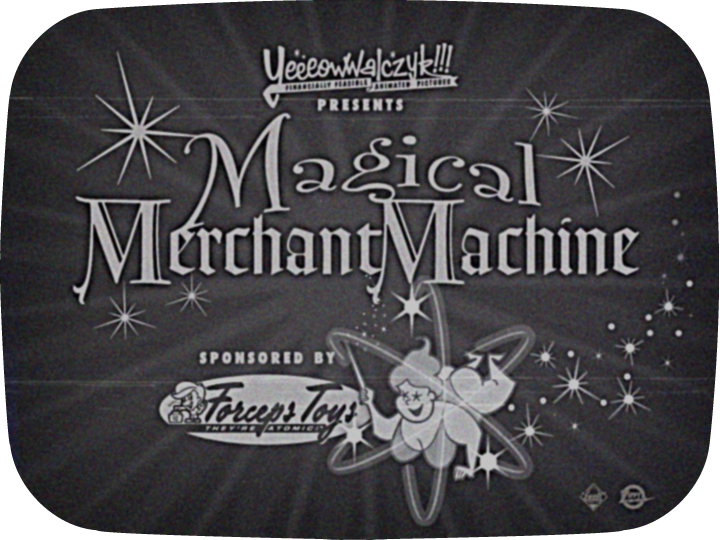 Running from 1957 to 1958 on KBTN-TV, Channel 53 on Monday nights, The Magical Merchant Machine, sponsored by Forceps Toys, was an hour long television show. Each episode threw an entertaining spotlight on a different Promo-Pal and the products they were currently promoting.